Michael W. O'Neil brings his extensive experience to The Skolnick Weiser Law Firm's Workers' Compensation and Social Security Disability/SSI practice areas. He focuses his practice on representing injured and disabled employees and individuals. With close to two decades of experience in Workers' Compensation matters, Social Security Disability and SSI claims, Michael has established himself as a highly respected attorney both in and out of the courtroom. 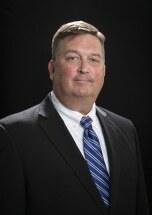 In addition to his legal career, Michael O'Neil is a veteran of the U.S. Army from 1986-1990. He served with the 2nd Infantry Division in Korea, as well as stateside assignments at Ft. Benning, GA and Ft. Jackson, SC.